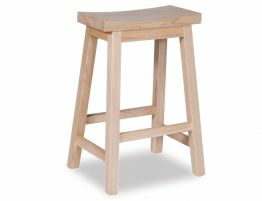 This attractive, solid American Ash Manga Barstool is simple in its design and made specifically to fit under your breakfast bar. 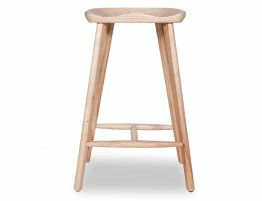 The Manga Barstool is constructed from solid ash wood that matches just about any universal and common décor. 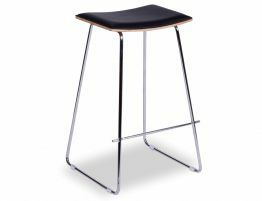 The Manga Barstool is made with no joins, no screws unlike other flat pack versions made of laminated timbers. 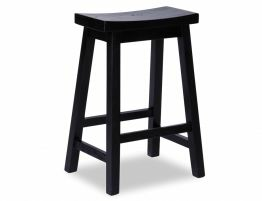 This is a very robust stool that is sturdy, heavy and very stable. Soften your interior with a plantation style item that brings the outside in. 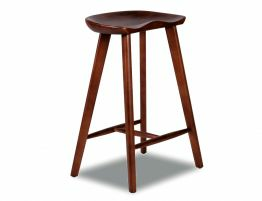 The saddle seat on this stool curves to give you the perfect comfort seat allowing you to fall softly into the grove. 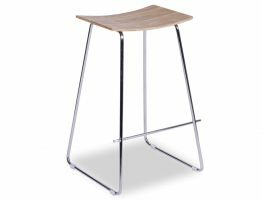 The square legs open like a ladder for a functional design. 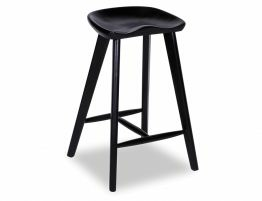 The natural elements of the Manga barstool allows a cozy malleable feel to your home.